Using templates in Access 2013 is easy because, as with other Office programs, you can select a template right on the new document screen. Office 2013 in general boasts a lot of helpful templates to get you started on projects more quickly, and you’ll notice some interesting ones in Access 2013. There is a selection of table templates. You can take a pre-designed table with the required details. You can also start with design that somebody else has made for a particular type of data. You can put documents together pretty quickly in the other programs and can customize on your own. An Access database can have so many elements that using something like an inventory database with reports already set up really made sense. These templates are usually adaptable enough that they make document creation easier in other applications, too. You can also try this by joining us. 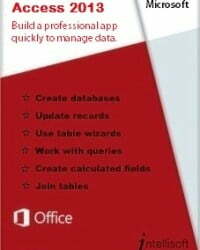 Access 2013 users will notice a new emphasis on apps–as in building your own, in addition to using pre-made apps. You might group a couple of templates into an app or create an app dealing with customer data, for example. All this is made easy thanks to a user-friendly interface for general users. So as far as apps go, you have the option to find one in the Office store, find a Web App Template, or customize your own Web Apps. Want to learn all these features? Companies have been able to host their own database through SharePoint and SQL Server on their internal network. A company that also subscribes to certain Office 365 plans with SharePoint can now host Access 2013 databases in the Cloud, set with public or private permissions. A focus on the web is seen throughout all Office 2013 applications, with easy sharing to SkyDrive and social media. SQL Server has been improved in Access 2013, which translates to more opportunities as well as better speed and reliability. Specifically, SQL Azure Databases will be available for some Office 365 business plans. Because of all the SQL improvements, now you also have more options to manage connections in Access 2013. Permissions are more advanced in Access 2013. You will also be able to more readily incorporate advanced reporting tools such as Power View, Excel, and Crystal Reports into your Access 2013 database. These allow for greater analysis of data. If you have any further questions or want to join Microsoft Access 2013 Training class then contact Intellisoft!!! You can not only save the document which you can access anywhere but at the same time you can collaborate it with other people. Access 2013 has changed the tabs of ribbons and made it capitalized which was not there before. Also if you have not worked with SkyDrive before that’s something which is going to be new for you. Want to explore this? So when you are trying to open any new or existing document you don’t only have a option of choosing it from Recent but also you can also select it from SkyDrive. After entering your account details it enters into your SkyDrive and then you can browse your database the same way as you browse in windows explorer. Like downloading we can also upload our local database to the SkyDrive. Access 2013 has moved towards the Cloud and can now produce Web Apps which can be accessed through a browser. There’s a quantity of Wizard help available in constructing these, so you’re not working from the skretch up when constructing one. Navigation and different views are pre-constructed, as long as the Web App you’re after can be based on one of the database templates provided. Here are the top features you should explore in Access 2013.
or would like to attend the Microsoft Access Training, do contact us at Intellisoft Systems.